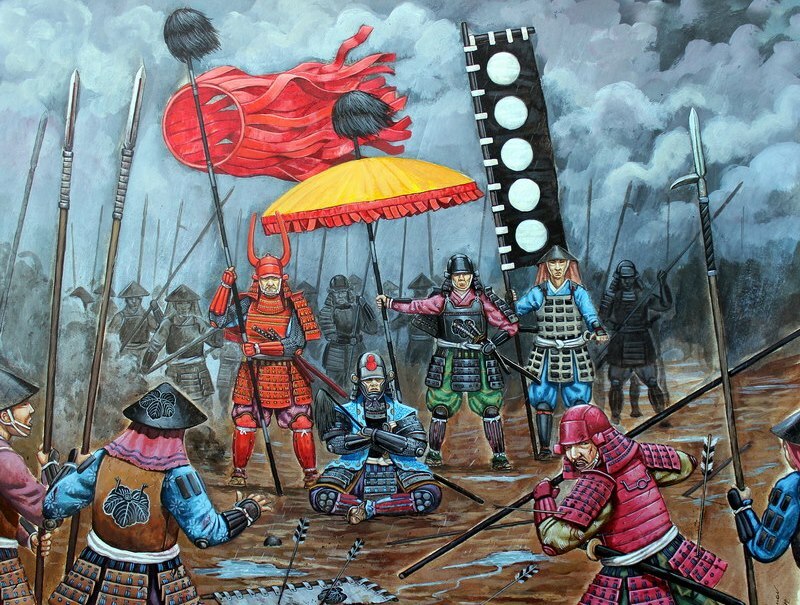 During the ancient periods, the Samurai and the Ashigaru had a variety of processes in the battlefield. This took many hours to plan, strategize and perfect. 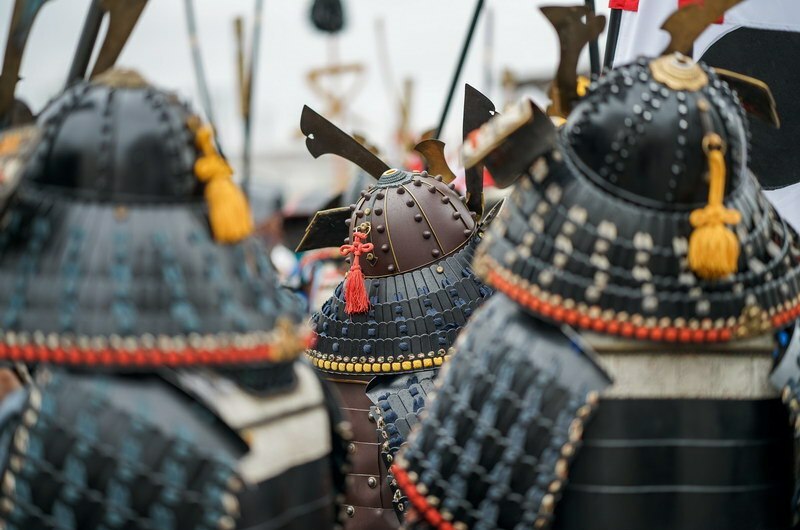 As soon as the Samurai army was nearing the enemy’s territory, may it be a castle, field or their camp, the officers start preparing the warriors to assemble into a battle formation. This battle organization takes Samurai rigorous hours of practice. The Samurai’s army commander is located at a vantage point where he can easily have a better view of the battlefield. From his area, he gives orders to his deputy generals who would then disseminate to the subordinate warriors. Usually, the commander-in-chief sits on a folding stool inside a semi-enclosed space given by the Maku and large curtains were raised on the site that has displayed his Mon. The Maku is an element on the life a Samurai wherein the Shogunate is the ‘government from within the Maku’. It was founded by Minamoto Yoritomo who is known as Bakufu. One of the great challenges that the Sengoku Period generals have faced were tons of armies consisted of military allies. Each army is then split up into weapon groups and is systemized through its own group of messengers. To successfully control the synchronized movements, a meticulous strategic plan was built through the cooperation between the allies. The control got across by units that were separated. The metamorphosis of armies from marching form to battle lines was coordinated by the existence of the recommended battle formations based on old Chinese models. As recorded, there are six battle formations that the Samurai have used in battles; namely, the Ganko, Hoen, Koyako, Hoshi, Kakuyoku and Gyorin. The Chinese models have formation features wherein cavalry units are positioned ready to shoot, or the general located in the rear center is surrounded by bodyguards or forefront of brave Samurai or a considerable flank. The various battalion would convey with one another via mounted messengers while other messengers would transfer messages by foot. Perfecting the battle formations as well as refining communication methods was all possible through careful practice, training and well-planned strategizing. The use of long spear had enabled Samurai to fight easily & accurately, as well as to protect himself first. The Samurai cavalrymen usually wore the Do-Maru armor which features a breastplate compared to the Yoroi that has none. 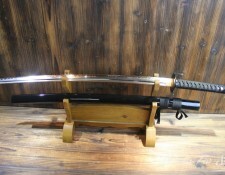 The spear used by the Samurai is called the Mochi-Yari, when translated means ‘held spear.’ The length of the spear shaft spans approximately 3.2 meters to 4 meters while the blade length runs from 10 cm to 1.5 meters. 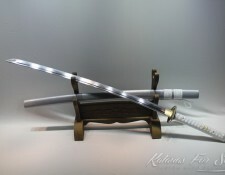 To enable the warriors to use the spear effectively, they have developed and practiced techniques that enabled them to utilize the weapon in any given circumstance. 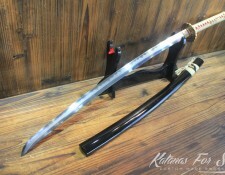 Samurai used spears as daggers from their saddle. 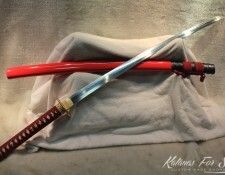 It’s also used for slashing strokes and stirrups. 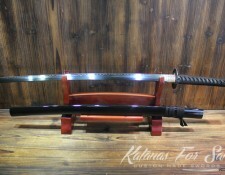 The Samurai would attack their mounted rival on their left side to advance the combat. A Samurai must hold the spear with their right hand while the left-hand controls the horse. 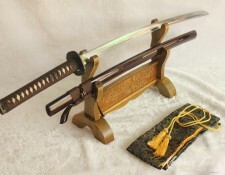 Other weapons used by Samurai included swords. To have a vantage point, he must fight with his enemy at his right so he can liberally move his arm. 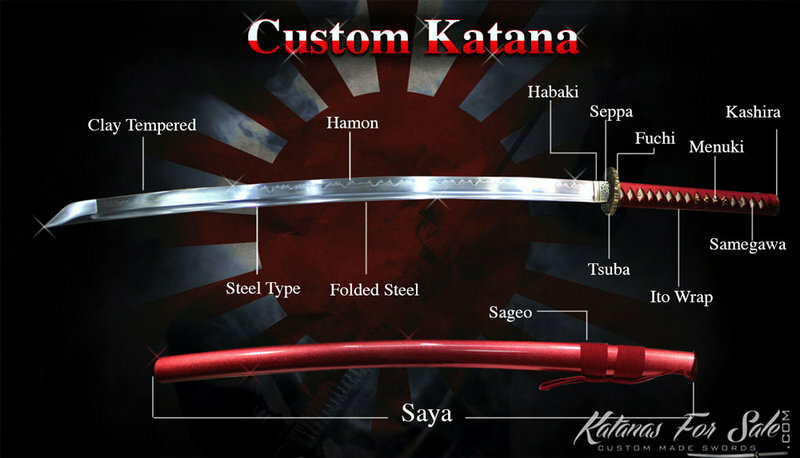 a Katana will do considerable damage at the initial contact since the curvature would initiate a small cut that would further open as the horseman moves forward. 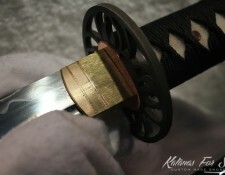 Okigusho advice, that a Samurai must distinguish the changing situation so he can effectively fight using the spear. 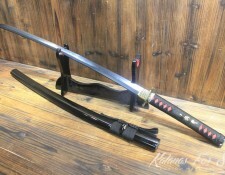 He advised that when an enemy attacks you with a Tachi sword, you must hold your spear up to block his long sword and then lower your hand to stab him. When the enemy uses the Tachi to knock your spear, you must lower your spear tip and when your enemy withdraws, that’s the time you stab him. 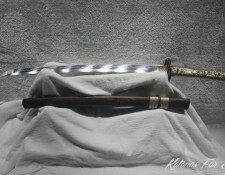 To master the sword fighting techniques, one must master Kenjutsu and must undergo long hours of practicing Bokuto which is practicing with a heavy wooden sword. Heiho Okugisho stated that when the enemy attacks from his position, strike his sword sideways or bring your grip up, block him and that’s the time you strike or you can step in with your right and cut your enemy. If your enemy attacks the lower part of your body, take a step backward and cut his hand. If your rival goes to a Chugangamae, strike his sword sideways, remove it from blocking you and attack him. Approaching the 17th century, the first show was won by the Ashigaru warriors or the inferior warriors. The common practice was to exchange fire by the arquebus troops at an approximate range of 100 meters. The firing exchange was controlled by the Ashigaru Kashira who instructs the gunners through the Ko Gashira, which is the subordinate of the Ashigaru Taisho. 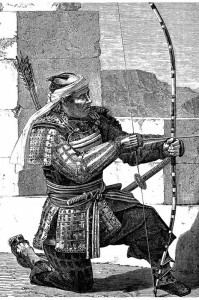 The Ashigaru Taisho is in the most frontal position of the Samurai commanders; hence he is able to judge whenever the firing disorientated their rivals. After firing, the Ashigaru spearmen would advance and the Samurai would attack mounted or by foot. While this is happening, the Ashigaru missile troops would form themselves under the umbrella of the Ashigaru spearmen. The Ashigaru archers were positioned in the firing line wherein they filled in the spaces between the arquebus firing squad. Their shooting skills are precise. They have a principle to follow. When their rival are at a distance, it’s vital not to shoot arrows yet. The Ko Gashira was the one who will order the shooting when the enemies are getting closer. Archers must shoot once, if twice it should be done with caution. 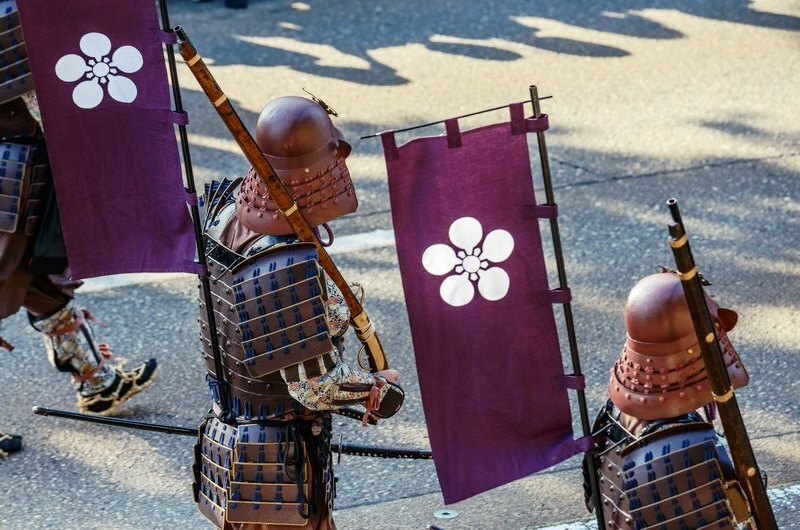 Ashigaru must not abandon shooting since they are receiving the enemy’s missiles. One archer is placed between two match locked men, in order to cover the reloading process of the arquebuses. When there is mounted enemy, one must shoot the horses. Similarly to the arquebusiers, archers must be prepared for a hand-to-hand fight. The Ashigaru spear fighting procedures are the following. First, they should form ranks— one man at approximately 1 meter apart. 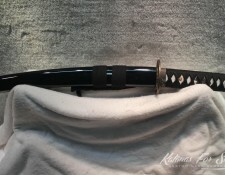 Second, they unsheathe the weapon but retain the scabbard. Third, they kneel down to wait for the cavalry, with their spear laid flat. Fourth, on command, they rise up and hold the spear. Fifth, they order ranks to produce even more blades. They guide with the left hand and thrust with the right hand. Seventh, they push to a depth and maintain the pressure. And lastly, they pursue enemies as instructed by the commander-in-chief. 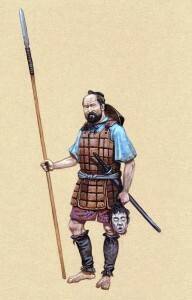 This entry was posted in Samurai History and tagged ashigaru, samurai, samurai battles, samurai culture. Bookmark the permalink.